Let’s face it. Is college football’s FBS getting a bit boring? I want more excitement! Whatever you think about WSU coach Mike Leach, he is not boring. Leach has several times called for a 64-team FBS National Playoff. Whether Mike is being serious or not, I’d like to consider his proposition: Is there really a way to create a true 64-Team Playoff in FBS? How can you do so? Could you make FBS football more exciting and unpredictable? Then I thought about how teams now schedule seasons. For example, Oregon usually starts their season with two or three ”tune up” games against lesser opponents. Other teams do the same. Some typically schedule “Catch Our Breath” games late in the season against lesser opponents. A “tuning up phase” seems important. One aspect of the current setup seems counterproductive: that is, declaring a team’s National Championship chances “dead” after losing one or two games early in the season. I think fans, coaches and players want the opportunity for redemption. And, most importantly, everyone wants the opportunity for the National Championship to be decided on the field, not in some room somewhere by a group of “good ol’ boys,” whose personal prejudices will invariably influence their decisions. In thinking further, I considered how the NCAA March Madness Basketball Tournament, the FIFA World Cup and The NCAA College Baseball World Series are structured and I adopted some elements from each. Then I added special twists to keep the “Irresistibly Delicious” system exciting and unpredictable throughout the season (something that’s lacking in the present setup). 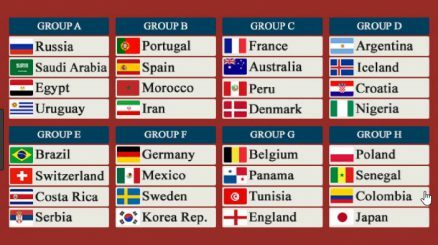 I took a cue from the FIFA World Cup – the world’s most watched sporting event — and how it organizes the 32 playoff teams in “groups” of four teams. 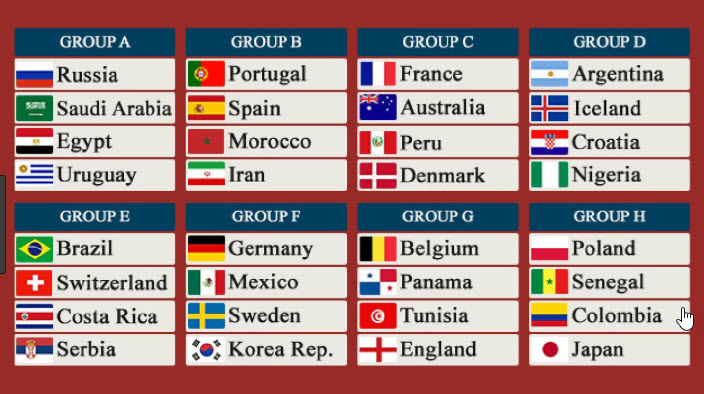 Each team plays a round-robin schedule within the group. The top two teams (50%) in each group advance to the elimination round. This is an important “tune up” phase. Significantly, losing a game doesn’t necessarily disqualify a team from advancing. You just have to be one of the top two teams. The 64-team NCAA College Baseball World Series begins with Regional Playoffs, and importantly, has a double elimination format. Redemption. Then, I asked why the NCAA Basketball March Madness Tournament was so exciting. Unpredictability! Upsets! Cinderella teams! Any one of the 64 teams can (theoretically) win it all. And teams from schools both little and big are invited. March Madness commands enormous interest and is one of the most watched sports events in the world. I thought, unpredictability is essential! Next, I thought about the existing FBS conference structure. Why these huge mega conferences? 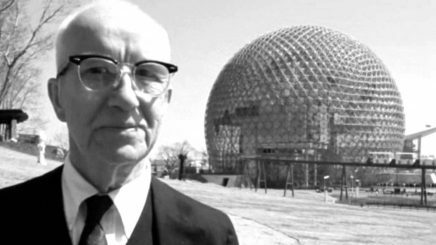 Maybe Bucky Fuller is right about building a new model. Maybe college football needs a dynamic new reality. Bucky Fuller, an American architect, inventor and innovator. For example, the existing FBS conferences are wonderful in some respects. I love the Pac-12 and the SEC for football and other sports. But huge “mega conferences” are unwieldy, with bizarre geographic match-ups. Why is Rutgers in the Big 10? When did Missouri move to the southeastern U.S.? Is Colorado on the Pacific coast? Worse, in the current FBS conference structure, many teams are stifled, with virtually no chance at a conference title. Will Vanderbilt ever win the SEC football championship or Rutgers the Big 10? Is the moon made of green cheese? Do we need a dynamic new reality for NCAA FBS football? I think so. Didn’t Lou Holtz say something like, “In college football you play with a different team every week”? That’s one of the realities of college football. The “Irresistibly Delicious” conference play phase keys in on the realities of college football to better fit coaches’ and players’ needs while maintaining the excitement level for fans.